Since the state's recession bottom, Illinois has regained less than 5 percent of its manufacturing jobs — the worst rate of recovery among all neighboring states. Since the state’s recession bottom, Illinois has regained less than 5 percent of its manufacturing jobs — the worst rate of recovery among all neighboring states. Meanwhile, Michigan has roared back to pass Illinois for total manufacturing jobs. Indiana is outpacing Illinois in creating manufacturing jobs, even with a workforce half the size of Illinois’. 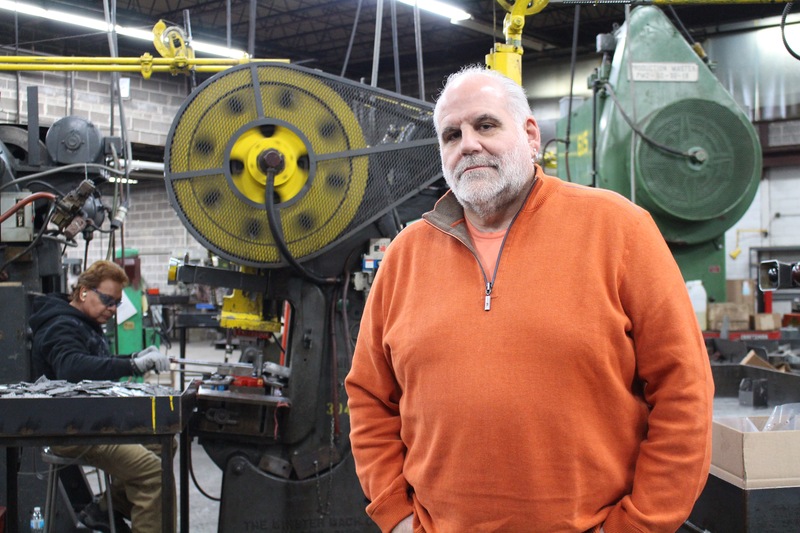 In Arlington Heights, manufacturer Al Panico is proud to say his products at The Line Group Inc. are American-made. His shop specializes in metal stamping, and also makes the “Awl for All,” a sewing tool used by people across the globe — from Scandinavian farmers to Martha Stewart. The common chorus for policy reform among Illinois manufacturers has been to address major cost drivers such as workers’ compensation and property taxes. In response, Gov. Bruce Rauner is pushing a property-tax freeze and workers’ compensation reform to bring costs in line with those in peer states. But Illinois House Speaker Mike Madigan has repeatedly dismissed these calls for reform as “non-budgetary,” and thus not worthy of discussion. Just a 10-minute drive from Madigan’s district office sits the Hoist warehouse where hundreds of workers once made world-class forklifts. They now go to Indiana to do that work.